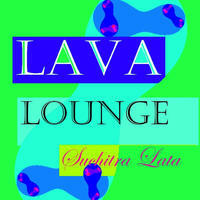 Suchitra Lata : Lava Lounge. Swirling chillout, ambient, world, progressive pop, indian classical veena and much more in between. Stylishly contemplative with a twist of red hot active lava on top! That's the sound of this album. I wanted to reflect on the two constant movements within oneself, one inwards and the other outwards. I have attempted to capture the spirit of those subtle movements in this album. With Coral Symphony, Sunbrella, Blue Petal Lake and Turquoise Beat, it's the introspective, looking within movement, then on towards an outward swing with Star Filter, French Lounge, Purplesse Oblige, Lava Lounge, Riviera Magenta and ending with a very socially interactive Cocktail Disco. Musical portrait of the self! License Swirling chillout, ambient, world, progressive pop, indian classical veena and much more in between by Suchitra Lata for your project. Play the music of Suchitra Lata in your restaurant or store.